What If “The Star Wars Holiday Special” Was Misunderstood? By the by, The Star Wars Holiday Special aired on TV for the first—and last time—36 years ago this week. 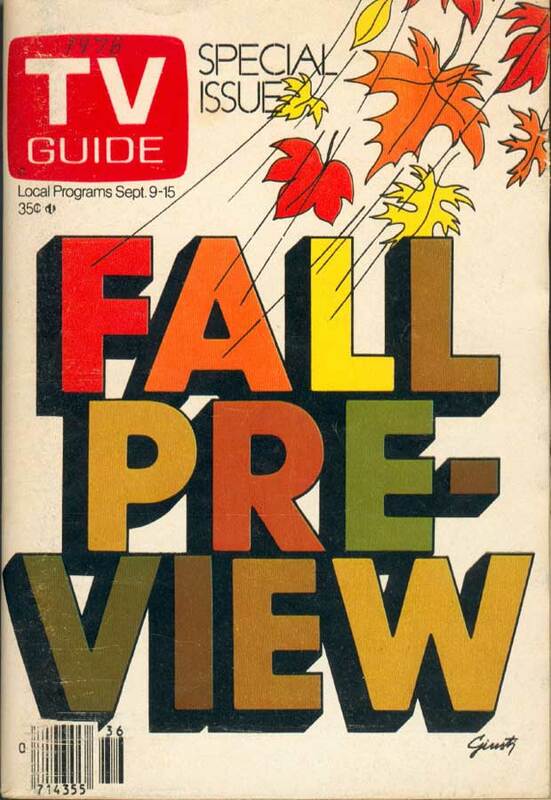 Today is the first day of fall. Monday was the first day of the fall-TV season. Due to climate change, the fall season is looking different—researchers say as temperatures rise foliage will burst into autumn colors later than usual (although, on the plus side, the brilliant colors will last longer). Due to climate change of another kind, the fall-TV season is likewise looking different. TV Guides that used to be big and thick and well-thumbed-through are now strictly the stuff of eBay auctions. Network promos that deployed a squadron of hot-air balloons to elevate their stars are now strictly the stuff of obscure YouTube clips. Climate change, it’s real. And it’s everywhere. Sylvia Plath Totally Ruins Father Knows Best: 50 Poems About TV, TV Watching and the Existential Sadness of Conan O’Brien, as featured in Shelf Unbound, now available on Amazon.